Salon des Saveurs in Dublin and Conrad’s Kitchen in Sligo are both facing winding-up orders at the High Court. Conrad Gallagher's restaurant Salle des Saveurs at its former premises on Aungier Street, Dublin. CELEBRITY CHEF CONRAD Gallagher is facing a legal battle to save his restaurants in Dublin and Sligo – with his eateries set to face winding-up orders from the Revenue. 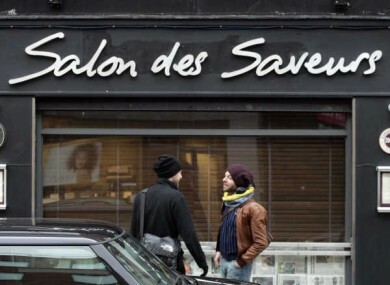 The Irish Sun reports that the Revenue has applied to the High Court to seek winding-up orders for the chef’s two restaurants – Salon des Saveurs on Dublin’s Dawson St, and Conrad’s Kitchen on Rockwood Parade in Sligo. Gallagher is not listed as a director of either of the two companies behind the eateries – both are in the names of his wife Candice and mother Evelyn. Company searches showed that neither company has filed accounts since being incorporated last year. Michael Doyle’s article also reports that diners in Sligo saw a signage company visit the premises last Saturday to repossess signage they had made and supplied for Conrad’s Kitchen. Email “Revenue seeking court order to wind up Conrad Gallagher restaurants”. Feedback on “Revenue seeking court order to wind up Conrad Gallagher restaurants”.